Romney has said he didn't know that a testy 2007 exchange was being videotaped. (CNN) – In campaign time, it’s ancient history: a 2007 video showing a testy off-air exchange between Mitt Romney and a radio host over the candidate’s faith and his stance on abortion. But the back-and-forth has resurfaced in the days before Election Day. Video of the exchange posted on YouTube on October 31 had garnered nearly 1.8 million page views as of noon ET Monday. “You don’t understand my church like I do,” Romney tells conservative Iowa radio host Jan Mickelson near the beginning of the roughly five-minute video, recorded in August 2007. “I understand my faith better then you do. You don’t believe me, do you? The Washington Post reported that Romney has said he didn’t know he was being recorded, saying the conversation had been captured by “hidden camera” after a radio interview. The video has been promoted online largely by Romney’s opponents. During the exchange, the radio host suggests Romney’s former support for abortion rights was out of step with the Church of Jesus Christ of Latter-day Saints, prompting the former governor to explain that his church opposes abortion but tolerates members who support abortion rights. At another point, Mickelson presses Romney on Mormon belief about Jesus’ Second Coming. Romney explains that Latter-day Saints expect Jesus to appear in Jerusalem but then, over the course of millennia, to reign both from Jerusalem and Missouri. A spokeswoman for the Romney campaign, Andrea Saul, did not immediately respond to a request for comment on Monday. 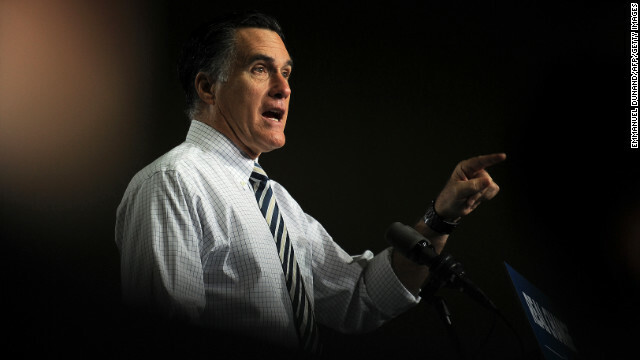 As a candidate, Romney has sought to avoid talking about his Mormonism. He gave a speech about his faith in 2007 but has talked about his religion in the broadest possible way this time around, speaking in terms that all Christians would find familiar. So, no more of these boards. And NO more of cnn. In 4 years mormonism will be a skeleton of what it was. All of the things that have come out about it's REAL temple beliefs and godhood, etc, will hit Americans and they will put it up there with the likes of David Koresh. Younger generations are already leaving the church (I've been able to help 7 out of 13 of my nieces and nephews see the light of freedom) and as technology takes over, even more will leave behind the dinosaur led by a bunch of smelly, old, pathetic men, that is the mormon church. BYE Conservatroll and mormon LOSERS!!!!! I completely agree with you. Members of my familiy are Jehova´s witnesses and they are jsuta as backwards. But I think mormonism is so freaking weird , with all those stories. OMG, thanks god ´m an atheist now. My mind is free. How can anti-abortion send people to war? Hypocrites!!!! What's wrong with Romney's testes? We are Sarah Palin's "real Americans". We believe that the Flintstones is an accurate depiction of early man. We are the birthers. We are the teabaggers. We are morons and we are proud. This is totally favorable to Romney....It reaffirms our conviction that Mitt will lead as a pro-life president! God bless him! This isnt at all negative Thank you anti-Romney person for putting it on You Tube.....Made millions of Americans day! Actually it makes him look like a nut job who gets defensive when asked about his nut job beliefs due to how stupid they are. Pro-birth, at least. Once out of the womb, Romney only cares if you vote for him. It's a pity that these anti-abortion people do nothing about protecting and preserving life after birth. He gets pretty defensive when asked about his faith, probably because its such a ridiculous religion that even the followers are embarrassed to talk about it. Wearing uncomfortable pajamas 24/7 protects you from Satan's arrows. Since romney has yet to show evidence of being pierced by magic missiles, his religion must be true! Did Romney ever comment on the Mormon practice of baptizing dead people of other faiths, like the Holocaust survivors? Did he disagree, or agree with that?
" Romney / Ryan 2012 (begins tonight.)" LOL actually if they do win, it wont begin until January. I am a child, and since I have turned to Atheism, I have had higher test scores, less missed days, and many other good things. And in a year of two, you will be saying "Mitt who? Wasn't he a contestant on The New Price Is Right or something?" Mitt Romney is a contestant on the Gong show, and today is is getting gonged.